Concave wheels give the all-new M6 a menacing new stance. It hasn&apos;t taken long for tuning firms to get ahold of the brand-new 2013 BMW M6, and the latest project is by Vancouver-based tuner SR Auto Group. 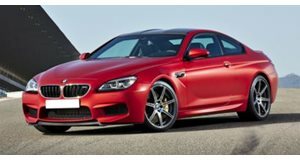 Looking at the M6&apos;s huge fenders, the tuner decided a fat set of wheels was in order, so turned to PUR 4OUR who supplied its Depth design wheels. Featuring a deep concave profile, the wheels measure in at 21 inches and are finished with a modern black face and gloss "Lumiere" grey lip - the perfect complement to the blacked-out Bimmer.